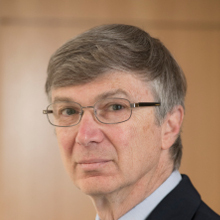 Senior Fellow Elliot Mincberg has researched and analyzed the Supreme Court, the Department of Justice, religious liberty and other civil rights/civil liberties issues for more than three decades. At PFAW, Elliot’s work centers around judicial appointments, which he’s focused on since Robert Bork’s nomination to the Supreme Court, and right-wing attacks on LGBT rights and religious liberty. Prior to his role as senior fellow at PFAW, he served as legal director and general counsel for PFAW and PFAW Foundation, as chief counsel for oversight and investigations of the House Judiciary Committee, and as a partner at a major DC law firm. He also serves on the Committee on Religious Liberty of the National Council of Churches and the National Advisory Board of the Religious Freedom Center of the Newseum Institute. Mincberg has been cited as an expert in national publications including the New York Times, Washington Post, the Los Angeles Times, and the Nation and has appeared on national broadcast outlets such as CNN and NPR. He’s testified before Congress on key issues and his work has been published in outlets such as the Aspen Journal of Ideas, Salon, and the Huffington Post. He has actively participated in federal and state court litigation at all levels on religious liberty, discrimination, and voting rights issues.